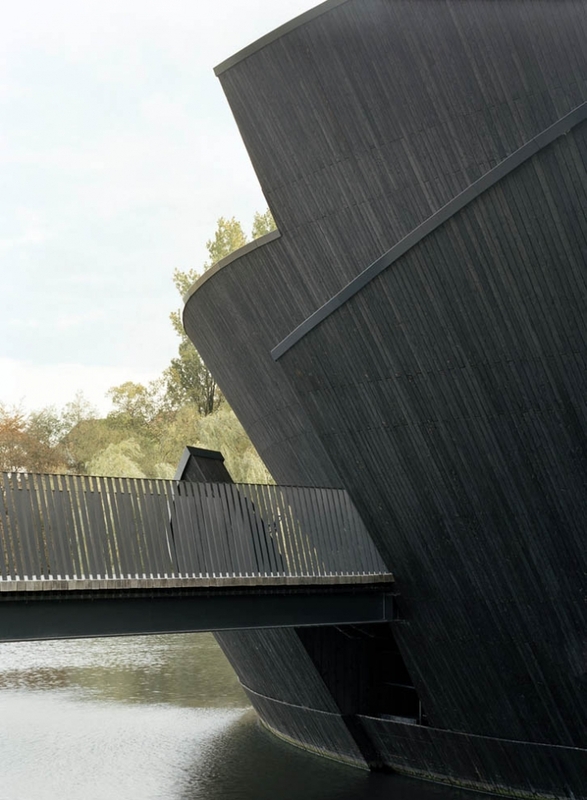 At the side of the motorway between Rostock and Berlin stands the Muritzeum. 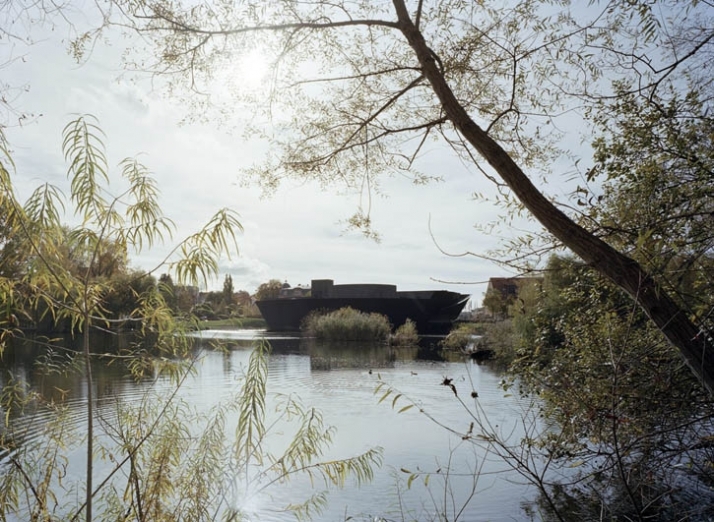 It lies on a small peninsular between the old town, previously surrounded by water, and the newer part with civic buildings, administration and "plattenbau" (East German, prefabricated apartment blocks). 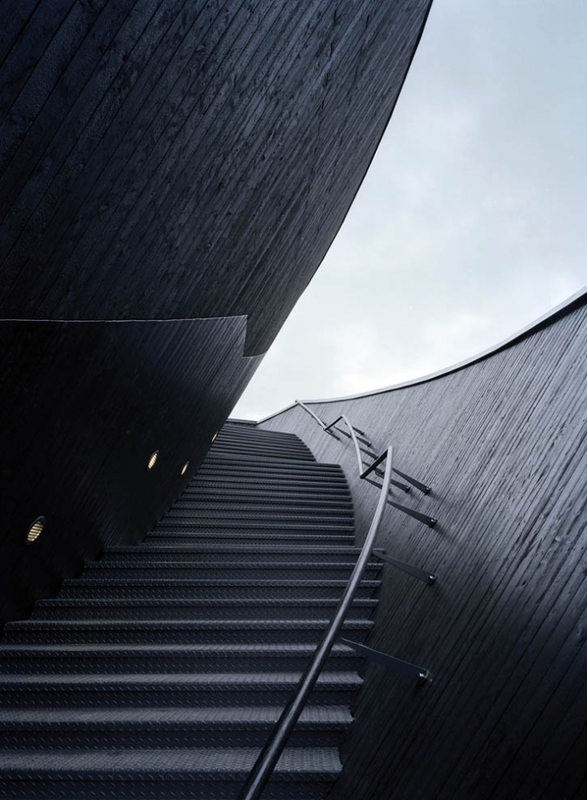 The Universeum projects is the reason Wingardh Arkitektkontor AB received the privilege to create this building and it’s really worth a look. 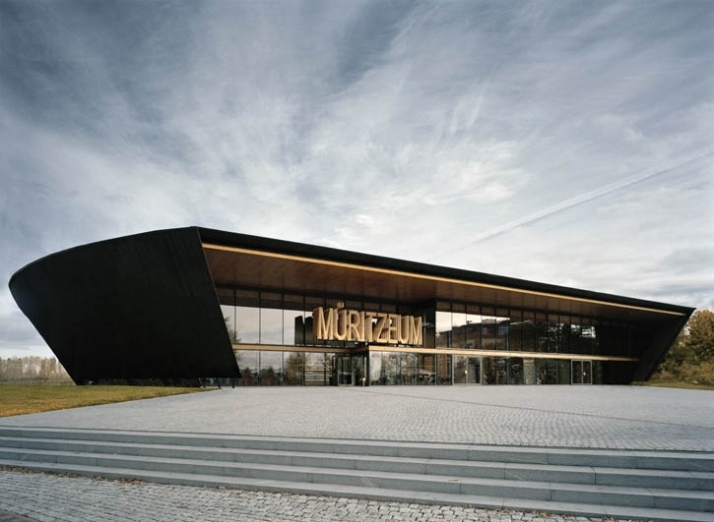 “Muritzeum” which in many ways has a similar program of aquaria, exhibitions and experimental stations. 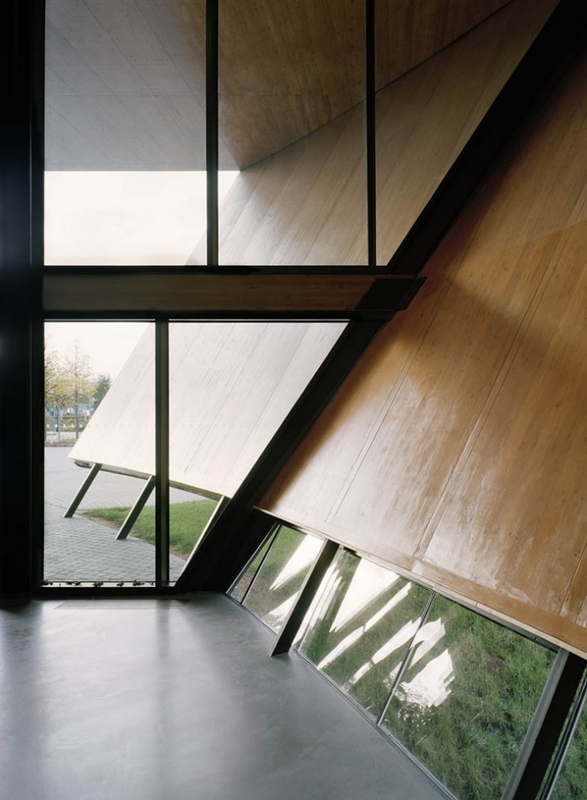 Both buildings use a lot of wood, both as load bearing components and as cladding. 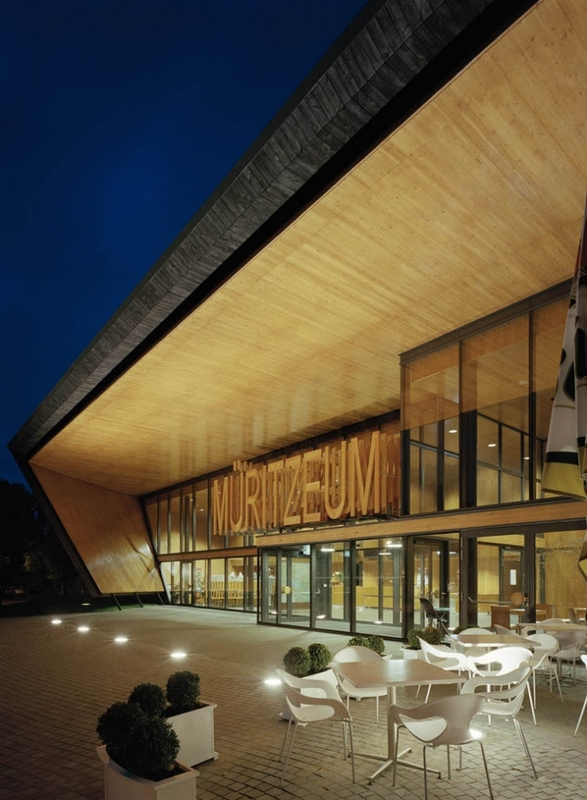 ”Muritzeum” is two cones of load bearing solid wood elements (exhibition areas) set on a cast concrete base (aquariums). The exterior exposed wood at “Universeum” is blackening and going grey in an unattractive manner, so for ”Muritzeum” we looked at a more hardwearing expression. On Saro in the stabling there is a small barn with a charcoal side. The fire happened in 1927 but the charring looks fresh. Finally a maintenance free treatment for an exterior exposed wood design! 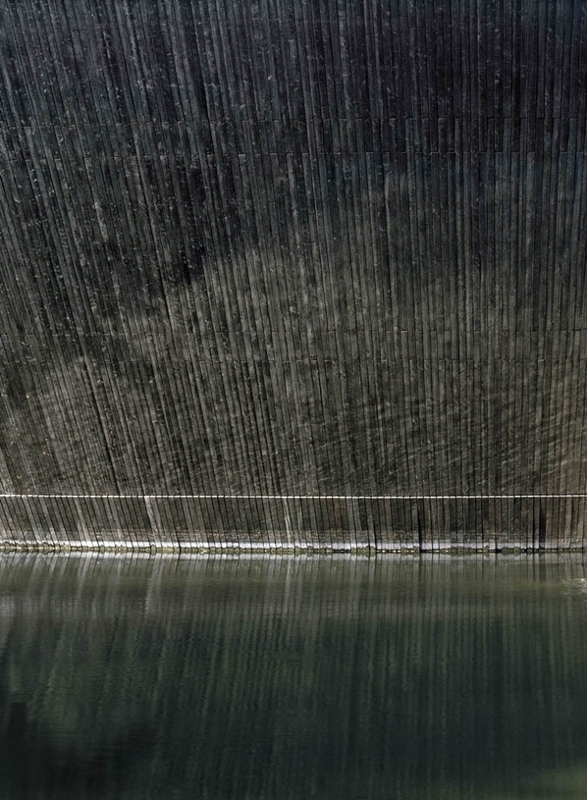 There was also an attraction in the thought of a wall composed of just solid wood elements in sufficient thickness for full u-value, load bearing and burned in situ with a gasol flame to the appropriate charcoal level. The actual cost of solid wood (the thinner the more valuable) and a genuine German dislike of burning the building (it could all catch fire) led to a multi layer construction where the exterior’s panel boards were charred before installation. 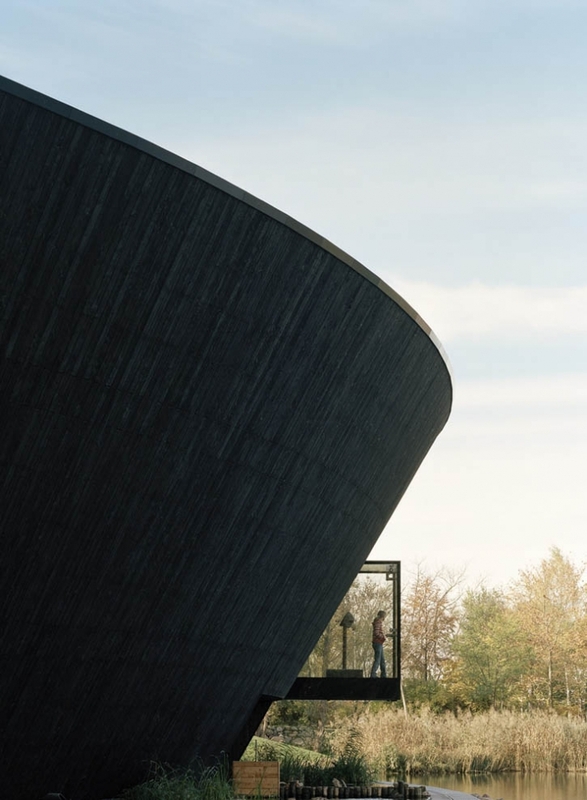 The result of the slightly downward curving cones is an exterior that absorbs light like a black hole in space, at the same time as the panels at close range trap the sunrays in the whiteness of the ash. The floor solution is the most faithful reflection of the program (like at “Universeum”). 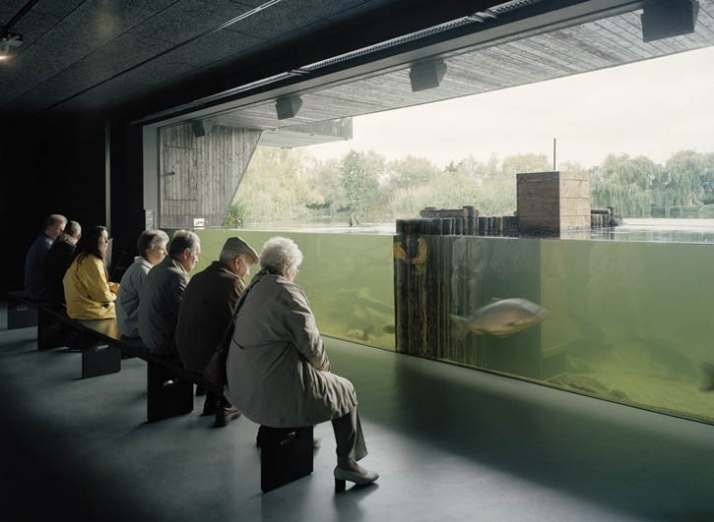 A high, central room is surrounded by a series of exhibition themes, ice age, fauna, flora, mankind etc but also by a slit giving direct access to the surrounding park with an older exhibition building and a natural walk around the small Lake Herrensee and a final roof climb to the viewing platform towards Lake Muritz. 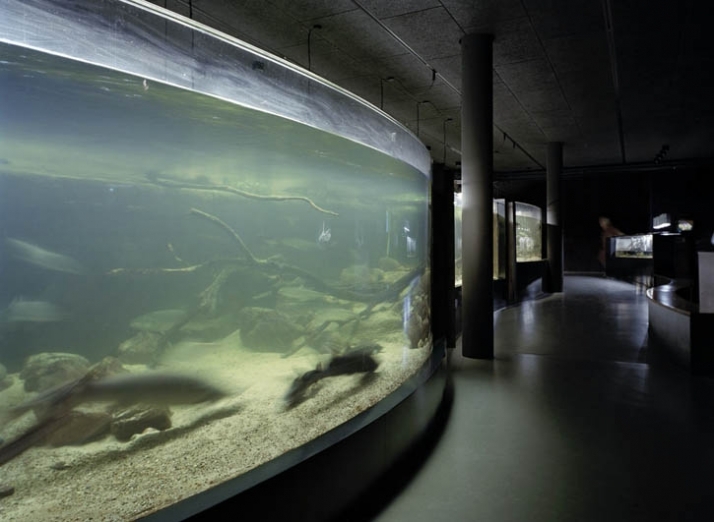 Up in the central room, Germany’s largest freshwater aquarium protrudes with a large shoal, advertising the aquarium section one floor below. 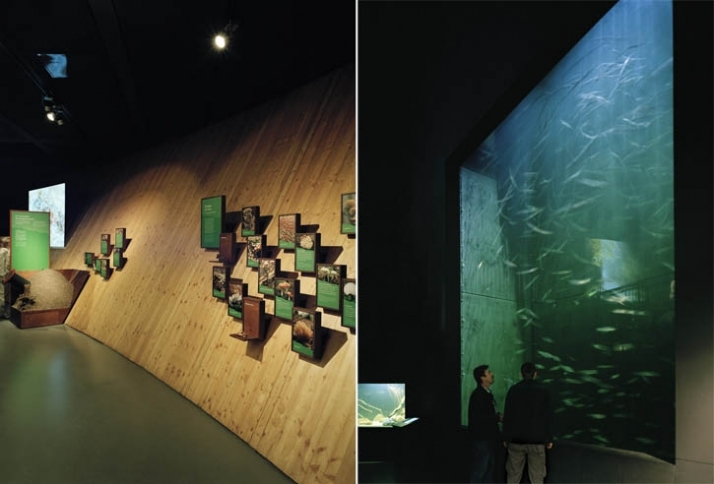 With the experience of the daylight lit “Universeum”, here we have a completely daylight free exhibition where only one window per floor creates contact with the outside. On the entry level a glassed in bay window juts out, with lots of binoculars in an eagle’s head, while the lower floor has the exhibition’s piece de resistance, a seamlessly inserted window. In Herrensee’s water and its population of carp. 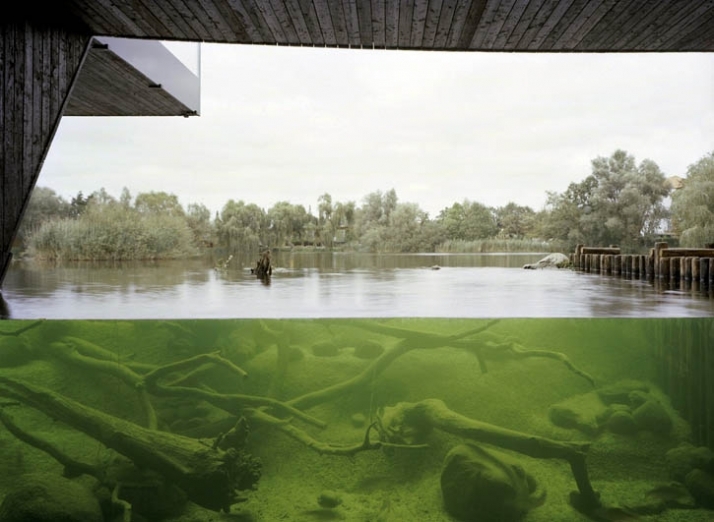 In reality it is a cleaned pond, separated from the murky lake waters. Finally, the beginning. The bay window, glass in the water and the park bar are all, like the entryway, parallel slits cut through the cones. The roof protrudes powerfully out over the south facing, double height glass facade. All the surfaces here are honey yellow, varnished, grain rich larch reminding one of the care that a much-loved wooden boat receives. The slit faces the tourist marina and the flows of people. The cafe’s parasols, chairs and tables swarm over the cobbled entry square (form of NOD) and lighten it. This is the entry facade that the brown and white motorway sign caricatures.